I like 37signals’s opinionated and provocative style, they like to preach the way they work and try to influence others. 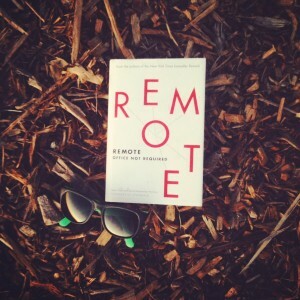 Remote is their new book on advocating working remotely. The book approaches working remotely both from an employee’s perspective and from a business owner’s perspective. 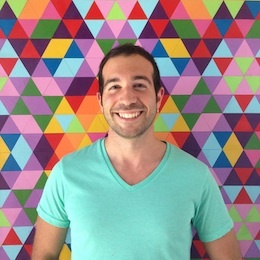 It starts off by advocating the advantages of working remotely, tries to rebut arguments against it, gives tips on working remotely, and explains how to hire and manage remote employees. Offices have become interruption factories. Say you spend 1.5 hours a day commuting, 7.5 hours per week, between 300 and 400 hours per year. Four hundred hours is exactly the amount of programmer time we spent building Basecamp, our most popular product. From May to October, we give everyone an additional weekday off — more time to spend outside while the weather is nice and a good way to decompress from a hard-work winter. At 37signals, we let employees who’ve worked with the company three years or more take a month long sabbatical if they feel like it. The luxury privilege of the next twenty years will be to leave the city… The new luxury is the luxury of freedom and time. Remote might mean down the street at a coffee shop. Or at home. Or at the library. Or in a coworking space downtown. Forcing everyone into the office every day is an organizational single point of failure. Freedom is slavery… In reality, it’s overwork, not underwork, that’s the real enemy in a successful remote-working environment. Routine has a tendency to numb your creativity. Population density of a city has benefits such as having libraries, stadiums, theaters, restaurants that can serve more people. However, it comes at the cost of smaller living spaces, higher rent, traffic etc. As our jobs, shopping, entertainment and communication transition to online, it will be interesting to see how the dynamics of cities will change in the future. It might be less of an issue for people with families, but I see isolation as the biggest risk for working remotely.